Strategy, appointments, major clinical, medical and regulatory advances, and partnerships …: you can find all the latest Ipsen Group press releases arranged by year. Cabometyx® is an innovative molecule already approved by EMA for the treatment of advanced renal cell carcinoma (aRCC) in adults following prior VEGF-targeted therapy. Exelixis and Bristol-Myers Squibb Initiate Phase 3 Trial of Opdivo® in Combination with CABOMETY or Opdivo and Yervoy® in Combination with CABOMETYX, Versus Sunitinib in Previously Untreated Advanced or Metastatic Renal Cell Carcinoma. Ipsen’s Partner Lexicon Pharmaceuticals Announces That FDA Approves Lexicon Drug Xermelo™ (Telotristat ethyl) 250 mg as First and Only Oral Treatment for Carcinoid Syndrome Diarrhea in Cancer Patients with Metastatic Neuroendocrine Tumors. Transaction leverages Primary Care infrastructure and accelerates conversion to OTx business model. Ipsen to pay €83 million cash upon closing for the products. Under the terms of the agreement, Ipsen will gain exclusive commercialization rights for the current and potential future ONIVYDE indications in the U.S., as well as the current licensing agreements with Shire for commercialization rights ex-U.S. and PharmaEngine for Taiwan. The transaction also includes Merrimack’s commercial and manufacturing infrastructure, and generic doxorubicin HCl liposome injection. Alexandre Lebeaut, MD will lead the R&D division in the interim. 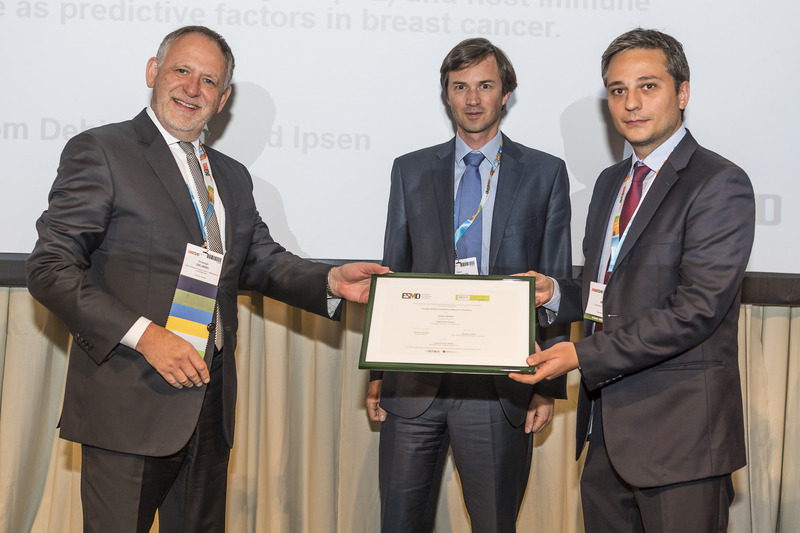 The 2016 Georges Mathé Prize was presented on October 10, 2016 during the ESMO (European Society of Medical Oncology) meeting in Copenhagen. The Prize, supporting translational research of excellence, was established in memory of the pioneer of cancer research in France, Georges Mathé, deceased in 2010. The Prize was awarded to a young Greek researcher, Doctor Alexios Matikas, a clinical oncologist from the University Hospital Heraklion, for his research project on immunological determinants of response to treatment in breast cancer. The Fellowship will support his research in Karolinska Institutet (Stockholm, Sweden), into the immunological determinants of response to treatment in breast cancer. Ipsen, a global specialty-driven pharmaceutical group, today announced that Cabometyx™ (cabozantinib), Somatuline® Autogel® (lanreotide) and telotristat ethyl (*previously known as telotristat etiprate) will be the subject of 16 presentations at the European Society for Medical Oncology (ESMO) 2016 congress. Cabometyx™ (cabozantinib) is the first and only targeted therapy to improve Overall Survival (OS), Objective Response Rate (ORR), and Progression Free Survival (PFS) in RCC in METEOR randomized Phase 3 trial. Cabometyx™ (cabozantinib) improves OS across all evaluated patient subgroups. Cabometyx™ (cabozantinib) has a unique mechanism of action with the potential to overcome resistance to VEGFR tyrosine kinase inhibitors. Ipsen Announces FDA Approval of Dysport® (abobotulinumtoxinA) for injection for the treatment of Lower Limb Spasticity in children aged two and older. First and only FDA-approved botulinum toxin for the treatment of pediatric lower limb spasticity. Ipsen and Teijin Pharma Limited, the core company of the Teijin Group’s healthcare business, today announced that Teijin Pharma has filed a supplemental application with Pharmaceuticals and Medical Devices Agency to use Ipsen’s subcutaneous drug Somatuline® (lanreotide) for the treatment of neuroendocrine tumors (NETs). The drug is currently available in Japan as a treatment for acromegaly and pituitary gigantism. CHMP recommends approval of Cabometyx™ (cabozantinib) for the treatment of advanced renal cell carcinoma (RCC) in adults following prior vascular endothelial growth factor (VEGF)-targeted therapy based on the results of a large, randomized Phase 3 trial, METEOR. Cabometyx™ (cabozantinib) is the first and only multi-kinase inhibitor with established clinical benefits demonstrated for all three key efficacy endpoints: overall survival (OS), progression-free survival (PFS) and objective response rate (ORR). Cabometyx™ (cabozantinib) significantly improved overall survival across all evaluated patient subgroups. Ipsen today announced that the European Medicines Agency (EMA), the European regulatory authority, has accepted the submission of filing for telotristat etiprate as an adjunct to somatostatin analogue therapy for the long-term treatment of carcinoid syndrome to improve symptom control in adult patients with metastatic neuroendocrine tumors. The Board of Directors of Ipsen, met on 8 July 2016, and has appointed David Meek as Chief Executive Officer, effective July 18, 2016. On this date, Marc de Garidel will assume the role of non-executive chairman and will continue to serve the Board of Directors through his deep industry expertise. In addition, Marc de Garidel will advise Mayroy, the Ipsen controlling holding company. Ipsen, a global specialty-driven pharmaceutical group, announced today the successful issue of its inaugural unsecured 7-year Notes for a total of €300 million. These Notes mature on June 16, 2023 and pay interest at an annual rate of 1.875%. Application has been made for the Notes to be admitted to trading on the regulated market of Euronext Paris. Ipsen announces the launch of an employee shareholding plan. This plan aims to align employees with the Group’s development and performance. Ipsen today announced the appointment of Eugenia Litz as Vice President Investor Relations for the Ipsen Group, effective today. She will report to Aymeric Le Chatelier, Executive Vice President, Chief Financial Officer. Eugenia Litz takes over Stéphane Durant des Aulnois nominated Finance Director Iberia. Eugenia will manage the Ipsen Group financial communication and build strong relations with investors and the financial community. Ipsen and Probi today jointly announced the signature of a license and supply agreement for the commercialization of Probi’s probiotic strain Lactobacillus plantarum 299v (LP299V® ). The agreement covers 18 countries, primarily within EU and emerging markets. This clinicallydocumented probiotic with patents in the gastro-intestinal field is expected to complement Ipsen’s strong medical portfolio in gastroenterology. 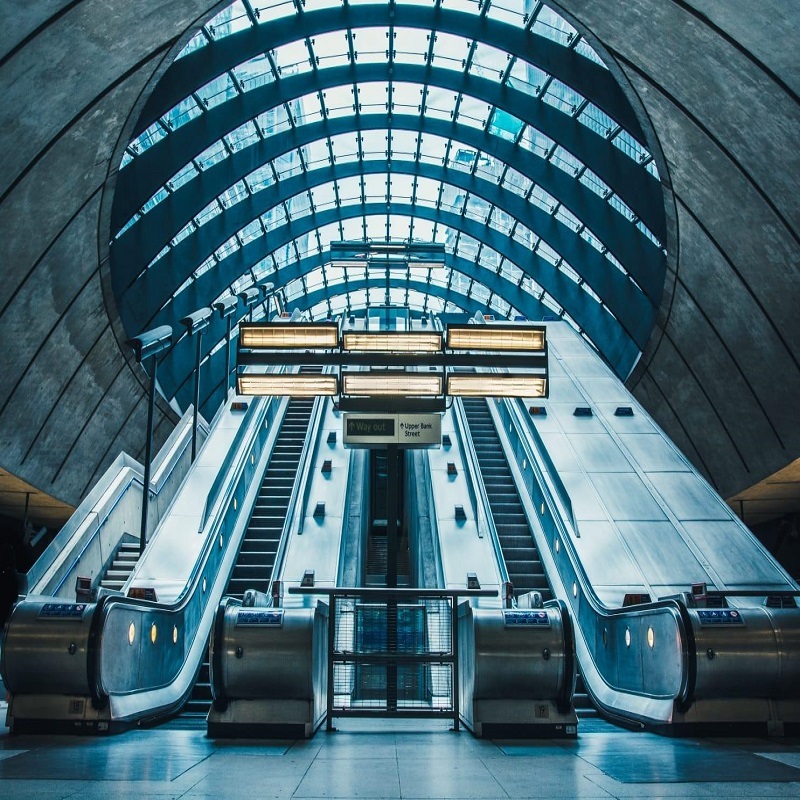 From Probi’s perspective it could become one of the largest distribution agreements so far, and is of high strategic importance for both companies. CABOMETYX™ (cabozantinib) is the first therapy to demonstrate improved overall survival, progression-free survival and objective response rate in a large, randomized phase 3 trial of patients with advanced kidney cancer. In February 2016, Exelixis and Ipsen entered into an exclusive licensing agreement to develop and commercialize cabozantinib in regions outside the United States, Canada and Japan. Leveraging its instrumental contribution to the BioIntelligence consortium, Ipsen has decided to deploy the 3DEXPERIENCE platform. Ipsen announced today that its 2015 Registration Document has been filed with the French “Autorité des Marchés Financiers” (AMF) on 29 March 2016 and registered under the number D.16-0216. Research partnership for novel therapeutic peptides targeting a transmembrane receptor overexpressed in a large number of cancers and implicated in their development. Option for Ipsen to acquire the exclusive rights to develop and market the new drug candidates. Ipsen strengthens its radiopharmaceuticals pipeline in niche oncology indications. Single injections of both Dysport® (abobotulinumtoxinA) doses (10U/kg/leg and 15U/kg/leg) significantly reduce muscle hypertonia and spasticity translating into clinical and functional benefits. Ipsen acquires the intellectual property for Galderma’s liquid toxin in some key Asia-Pacific territories (APAC1 ). Ipsen announces release of an additional batch of Increlex® in the U.S.
Precisions concerning the resupply of Increlex® in the U.S.